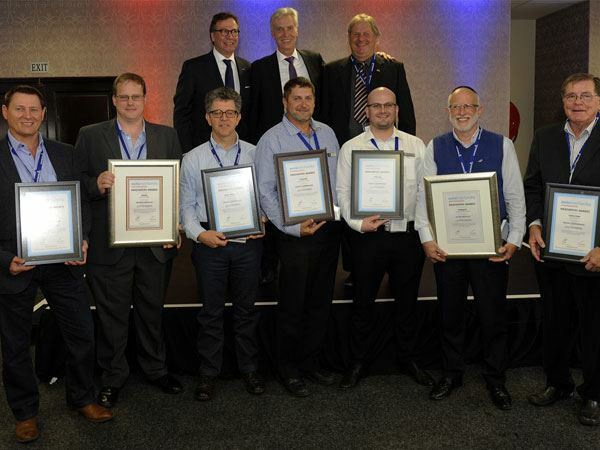 Automechanika Johannesburg has announced the winners of this year’s Innovation Awards. Car-O-Liner's Vision2 software walked away with a gold certificate, while AI Vision's MobilEye Collision Avoidance System won a silver certificate, and Bosch's Start/Stop System took the bronze award. The gold winning Vision2 Softwarewas described by the jury as having: “exemplified a state-of-the-art means of quickly and efficiently measuring collision damaged vehicles, helping to reduce cycle times and aiding accurate, efficient and safe alignment work throughout the repair process". It is not the first win for the system, it also picked up a gold medal at the Innovation Awards at Automechanika Frankfurt in 2014. The system is photo-based and guides repair, performing automatic centring, measuring and documentation. Its features include ease of use, with up to 20% reduced repair measurement time. Vision2 is integrated with Car-O-Data, the world´s largest vehicle measurement database, which contains details of over 14 500 measured vehicles. "It is an outstanding product that promotes the quick and efficient measurement of collision damaged vehicles," the jury said in its assessment. Silver award winner AI Vision's MobilEye Collision Avoidance System was deemed to offer an excellent combination of technology and functionality designed to improve road safety. The jury described it as representing: "a high-tech means of reducing the risk of accidents by identifying common road safety threats and, through a user friendly interface, alerting drivers to potential dangers." Bosch's Start/Stop System, available for aftermarket fitment, boasts fuel saving in city driving by up to 8%, simultaneously reducing carbon emissions. The products were assessed by a jury comprising Christopher Crookes of Extra Dimensions; John Ellmore of the RMI; David Furlonger of the Times Media Group; Robert Houdet of NAACAM; Norman Lamprecht of NAAMSA and Jakkie Olivier of the RMI. The products remain on display at the Innovation Awards stand at Automechanika Johannesburg until the show closes on Saturday, May 9.